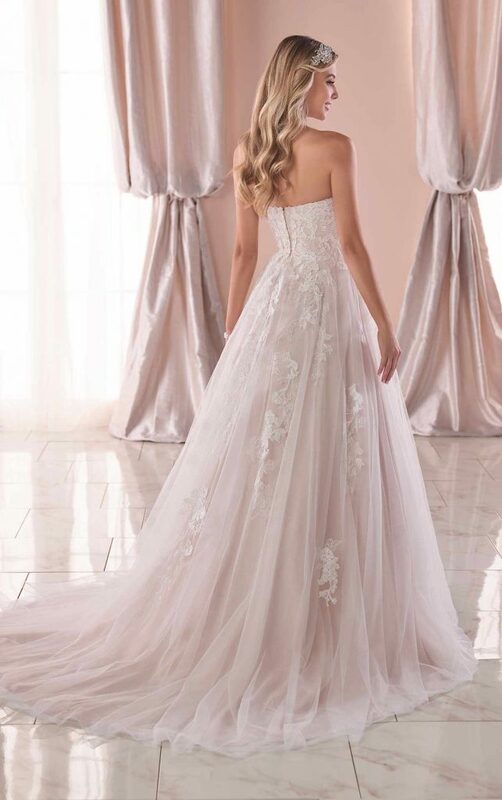 Holly is a stunning A-line wedding dress with sparkly tulle. 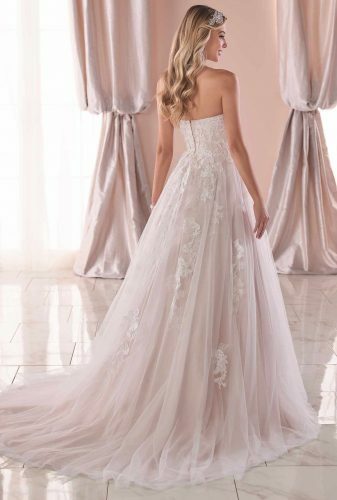 Made of traditional lace and tulle, this updated A-line silhouette is a dream come true for brides who want that classic bridal style but with more sparkle. 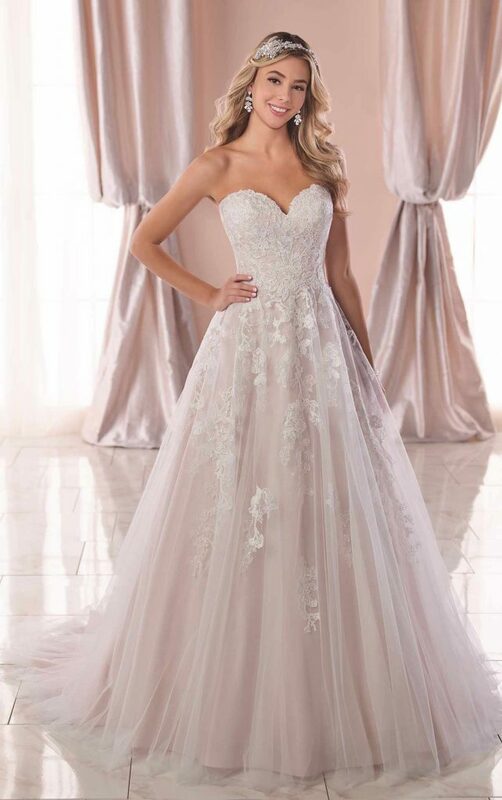 A layer of exclusive Stella glitter tulle gives this dress a unique WOW factor that all brides will love! 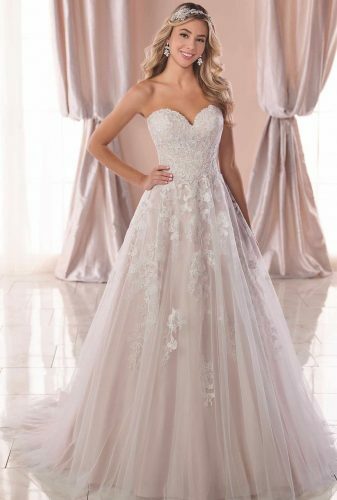 Luminous floral lace is gracefully sewn onto the bodice and floats down the length of the tulle skirt for movement and drama.